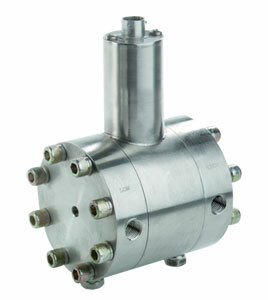 OMEGA’s PX83 Series is a heavy duty, wet/wet, differential pressure transducer available in ranges up to ±3000 psid. Each model has three pre-calibrated user selectable ranges. The triple range ±5V output is suitable for applications where the pressure may vary from operation to operation and high accuracy and resolution are required for all situations. An extremely high over pressure capacity of 1500 psi or 150% (whichever is greater) make the PX83 an extremely durable transducer.